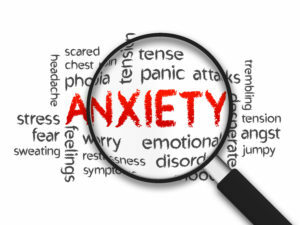 Give anxiety the boot with these 6 all natural anxiety busting remedies. You’re probably well aware that omega-3s help to protect the brain from dementia but did you know they also help relieve anxiety? The exact reason why is unclear, but scientists speculate that inflammation in the brain may contribute to anxiety symptoms and the omega-3s in fish oil help to fight that inflammation. Omega-3s also help reduce stress and ward off depression; two conditions that can directly impact anxiety levels. There is strong evidence supporting the use of Kava as a complementary alternative remedy for the relief of anxiety. It’s been found to contain a group of compounds called kavalactones which modulate certain pathways in the brain, helping to fight anxiety and produce feelings of relaxation. There is also good evidence that extracts of passionflower can help reduce anxiety symptoms however both herbs can produce side-effects and before turning to any herbal remedy you should consults with your healthcare practitioner. This flower has been used traditionally for centuries to help promote relaxation and there’s no denying its gentle sedating effects. Chamomile contains two potential anti-anxiety compounds — apigenin and luteolin, and sipping on a cup before bedtime can help relax you so you can get a quality nights sleep and thus be better equipped to face the stressors that cause anxiety the next day. Supplementing with a combination of the amino acids l-lysine and l-arginine has been shown to reduce chronic anxiety and normalize the stress response by reducing stress causing hormones such as cortisol. This therapy appears to be particularly beneficial in those who have a low dietary intake of l-lysine. Since l-lysine is a protein and the richest sources include animal products such as beef, chicken, lamb, fish, milk and cheese, vegans and vegetarians may find this treatment particularly beneficial. Cardio workouts help to decrease tension levels, lower stress, enhance sleep and boost the release of feel good endorphins; all of which helps to ease anxiety symptoms. Just one vigorous session can help lower anxiety levels for hours and continuous cardio exercise can produce more profound and lasting effects. Aim for at least 30 minutes of moderate physical activity, so that you raise your heart rate and break a sweat. Preliminary research has found acupuncture may activate opioid pathways in the brain and opioid activation helps to produce pleasurable feelings and reduce anxiety. Massage therapy is also commonly used to help produce feels of relaxations and reduce stress and anxiety, however it should be noted, the evidence of its effectiveness is mostly anecdotal and not clinical. **Additional Remedies to Consider: Epsom salt baths, yoga, meditation, balancing blood sugar, doing anything that makes you laugh, inhaling lavender essential oil, and perhaps most important of all — cutting out caffeine!